Previous day notice preferred. A darling! Updated decor! Clean! Well maintained by one owner since 1980! Relax on enclosed front porch (19 ft. x 8 ft.). 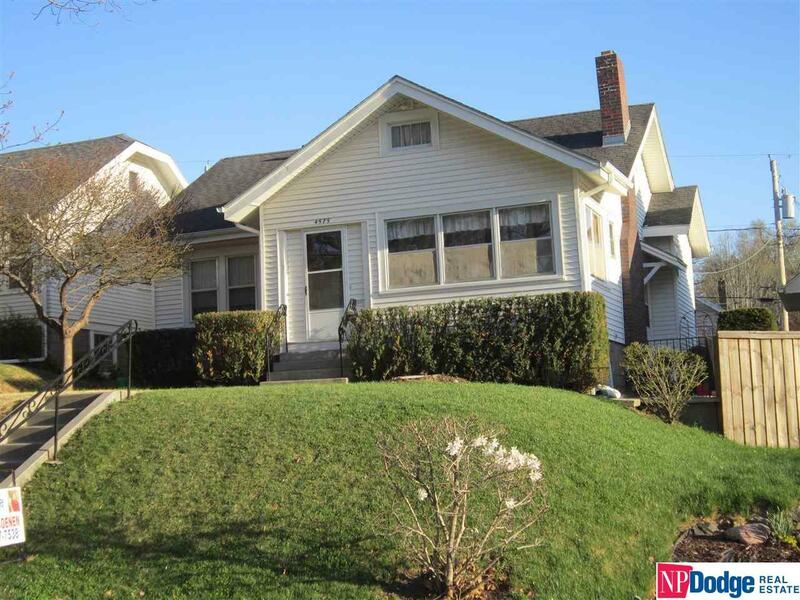 Beautiful original woodwork & hard wood floors & taller ceilings on main level. Living room with wood burning fireplace. Formal dining room open into updated kitchen with Corian counters & stainless steel appliances. Updated bathroom w/shower over tub. 3rd bedroom in 2nd level. Family room & bath in basement. 1 car garage w/ access to alley. Private, wonderfully landscaped yard. Washer & dryer may stay. Range/oven, fridge- negotiable.